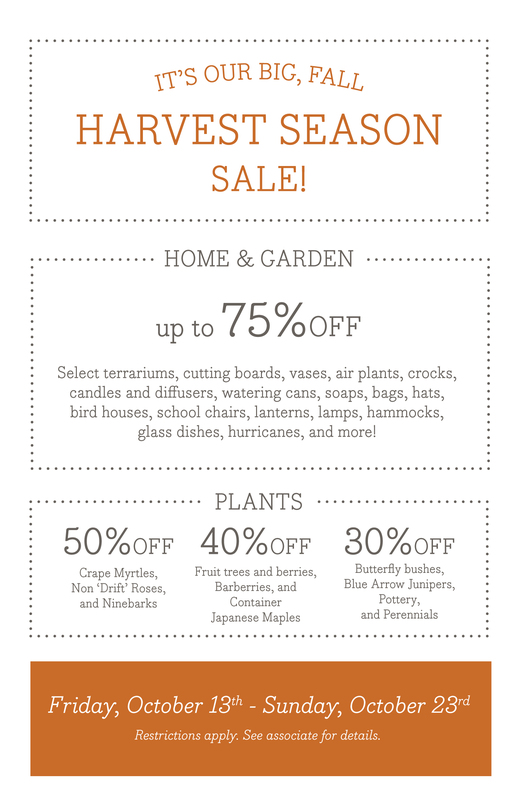 Our Big, Fall Harvest Season Sale! Join us for up to 75% off home and garden items and up to 50% off plants! 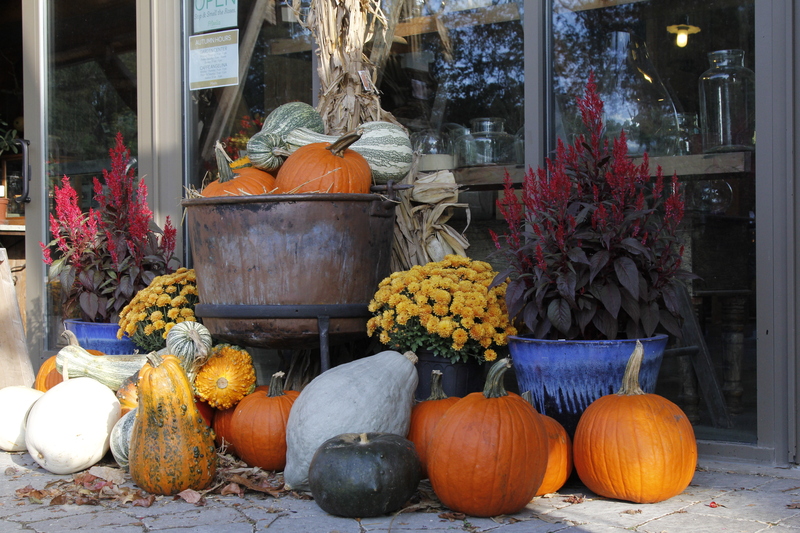 We also have plenty of mums, pumpkins, gourds, and Halloween decor to beautify your home for the season!